As a parent, part of you worries whenever you put your child on a bus to go to school. Indeed, a large majority of the time it is just your motherly or fatherly instinct of protecting your little one, and they commonly come home safe to you. However, life can be unpredictable and accidents can happen; and the chances of an accident occurring increases when bus drivers do not drive safely. A recent ABC News report highlighted a trend showing videos of school bus drivers across the nation driving erratically; in many cases, disobeying speed laws and running red lights. Of course, such reckless driving could put children in danger. 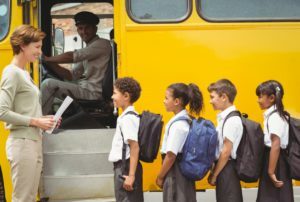 The report does not mention how many moving violations school bus drivers in Florida have received, but the story exemplifies the legal and practical duties that bus drivers have. In essence, school bus drivers have an ongoing responsibility to use reasonable care while behind the wheel. They must obey speed limits, stop at train crossings when necessary, and avoid making abrupt lane changes without checking blind spots, to name a few. Also, drivers must refrain from using cell phones or other handheld devices while driving. Indeed, these may be obvious safety hazards, but they can lead to liability if a driver engages in those things and they lead to an accident. After all, a moving violation could be seen as evidence that a driver failed to use reasonable care, and that such a failure was the proximate cause of an accident.